SsangYong is one of the less known car brands in the Netherlands. If you have a model of this brand, you may have to look for the possibilities around a rear window replacement of a SsangYong when the rear window is damaged. If the rear window of your SsangYong needs to be replaced after damage during a storm or vandalism, it is not wise to choose an original rear window. It is much more attractive to look at the cost of a new after market rear window for your SsangYong. But before we go into this further, we first look at the history of SsangYong, the brand that struggles with the past. SsangYong is one of the car brands of which so few models are sold that it cannot even be called a small player on the Dutch market. Until now it literally concerns hundreds of models per year. That is striking, because in Korea more than 150,000 models are produced every year. Whereas in other countries SsangYong achieves more market share every year, in the Netherlands this is only achieved sparsely. 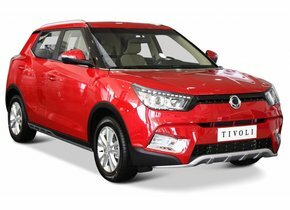 This is mainly due to the dusty and environmentally unfriendly image of SsangYong, which has not been correct for a long time. SsangYong is not known for flashy cars, clean lines or enormous top speeds. In fact that is not possible at all, because the company was founded in 1954 (Hadonghwan Motor Company) and it focused directly on making jeeps for the American army. Already in 1963 the company was merged with a company that was founded in the same year (Dongbang Motor). After a turbulent period the name changed to SsangYong Motor in 1986, SsangYong means 'double dragon' from a legend from the Far East. A cooperation with Mercedes-Benz in 1991 created a large business in the field of passenger cars, petrol engines and diesel engines. that took over 70% of the shares in 2010 to save SsangYong. The static workhorses of SsangYong were produced as vehicles for the army and jeeps for heavy work. So not directly as a car to use on the highway. Also, little consideration was given to CO2 emissions and that caused increasing problems with the Dutch sales figures. In other countries, SsangYong managed to shake off its negative image more quickly, while the Dutch were still hesitant. 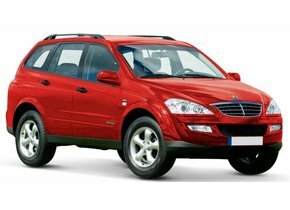 Yet there is clearly a favorite model to be found: the SsangYong Rexton. Especially the most recent version of the Rexton scores well with the users. Incidentally, only the models made after 2006 are available on the European market. The models made between 2001 and 2006 were only sold in South Korea. The latest SsangYong Rexton is especially larger than the first models (13 centimetres longer, 9 centimetres wider and 6 centimetres higher) and has much more comfort for the occupants. A luggage space of 820 litres makes this car also suitable as a family car or car with which you can really transport something. 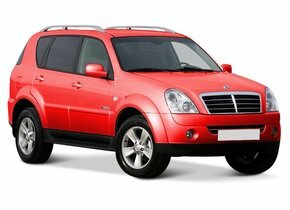 The competitor of this Rexton is the Kia Sorento 2.2 CRDi, which also comes from South Korea. 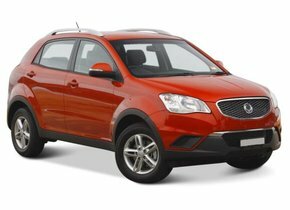 Models like the SsangYong Korando floped on the Dutch market because of its moderate design and high fuel consumption compared to the models of its competitors. The SsangYong Kyron had another problem: it lost the battle in Europe to the Honda CR-V, an SUV with similar characteristics but it was a lot cheaper. The Kyron was also soon discredited because it ended up in the EURO 3 class, the most loaded emission disc. The new engine that was introduced in 2006 that did meet the European standard came too late for this model. Perhaps you have a SsangYong despite the disappointing sales figures in the Netherlands, or perhaps just because you wanted a unique car. The scarce presence of these models on the Dutch road makes it harder to find original parts for your car without having to import them directly from South Korea (or from Germany with some luck, since SsangYong sells better there). If you have damage to the rear window and need to replace it with your SsangYong, you do not have to worry. After all, with the rear window replacement of your SsangYong it is better to choose after market rear windows for your SsangYong. This is fine automotive glass, because it comes from the same factories with the same quality requirements as the branded windows for the SsangYong. If you want to keep the costs of replacing the rear window as low as possible, you choose after market windows. The difference in price is mainly in whether or not you have a brand logo and this logo really does nothing for your rear window. You can replace a rear window of a SsangYong yourself if you have the knowledge to do so. With us you can easily select the model you have after which you immediately see the options including the price. When ordering, you choose the option 'delivery without assembly'. You will receive the window within one to two working days and can then immediately start replacing the rear window of your SsangYong. Do you have a dry workplace with enough space to walk around the car and are you handy? Then this is the cheapest option for window damage to the rear window. However, are you not very handy, do you not have a dry workplace or simply no time for a SsangYong rear window replacement? Or do you want to be sure that the new rear window of your SsangYong will be installed by experts? Then you have come to the right place. You order the SsangYong rear window and choose the option with installation. Our FOCWA-certified partners will then ensure that the rear window of your SsangYong is replaced quickly and professionally so that you can take to the streets safely again.